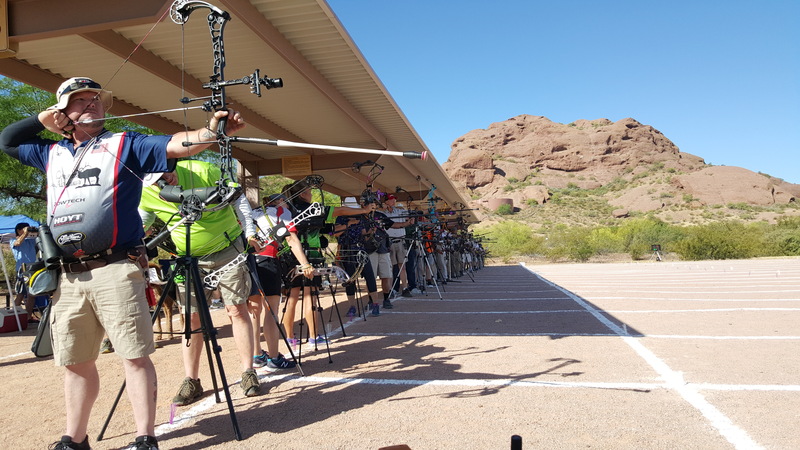 Papago Archery Association hosted the 2019 AZ State Masters Championships on April 20th, 2019 in Phoenix, AZ at the Papago Archery Range. 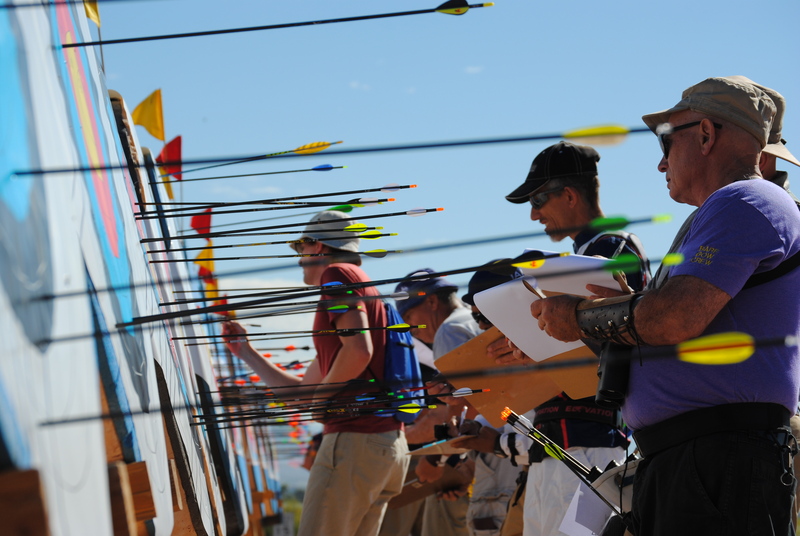 Of the 44 archers that registered, 39 were present and competed. Archers ages 50+ were eligible to compete for the state champion title in one of 18 available divisions. The archers shot 30 arrows at 3 different distances (60/50/40 meters) for a total possible score of 900 points. The shoot started promptly at 8:30am and awards wrapped around noon. The weather was agreeable with light winds & temperatures in the 80s. All archers competing completed the 900 round. The top score shot in the tournament was an impressive 881 by Larry Butterfield (Compound Master 60 Men)! The top Barebow score was shot by Ron Shinn with a 675 and the top Recurve score was shot by Gary Yamaguchi with an 808! Caytie Belzner shot the top female score of the tournament with an 823. Congratulations to all! There were 20 new state records set this year and 1 record tied. It's incredible to see how the Masters archers just keep getting better with age and bring some fierce competition to the shooting line each year. To see a list of the complete results and records set, please click one of the links below. More photos will be available on the Papago Archery website soon. USA Archery Arizona is excited to announce the inception of the Arizona Archery Series Champion for 2019. All USA Archery Arizona members are eligible to participate through the opt in process outlined below. The top archer in each qualified division will earn recognition and support toward the 2020 National competition season. For more details and to register to participate please click below. Arizona has hosted 4 of the 5 State Championship tournaments for 2018 to date. Both Indoor Championships were held in January, while the Master's Outdoor and JOAD Outdoor were held in April. There were many new state records set at each of these events and all records have been updated on the website. We want to congratulate all of the archers who have competed, whether it was a first time competition or you are a seasoned archer, we commend you for competing and working toward reaching your goals. We have a tremendous amount of talent here in Arizona!! ??? How Many Records Will Be Broken ??? USA Archery Arizona is pleased to announce the following Outdoor State Championships being held in April are available in conjunction with these local clubs. Please make sure to check out the hosting clubs website's for the event information and online registrations. This 900 round event will be held on April 14th, 2018 at the Papago Archery Range in Phoenix, AZ. For more information about this event & to register - click here. This annual event will be held on April 28-29, 2018 at the Ben Avery FITA Range in Phoenix, AZ. An Adult Money Shoot held in conjunction with the youth shoot. For more information about these events & to register - click here. 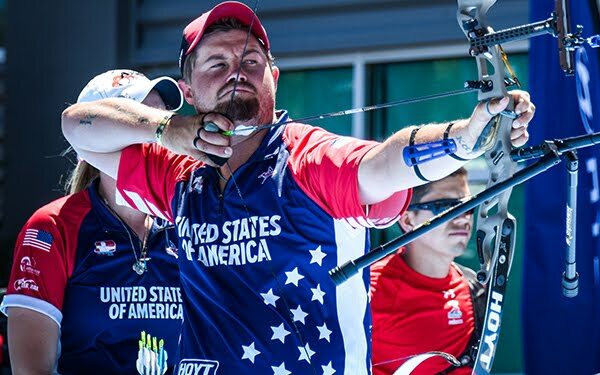 Arizona archers didn't disappoint this year as they took on the USAT circuit with confidence and walked away securing 7 spots for 2018. Congratulations to our local talent for all of their hard work and dedication to the sport. These positions were, without a doubt, well deserved! 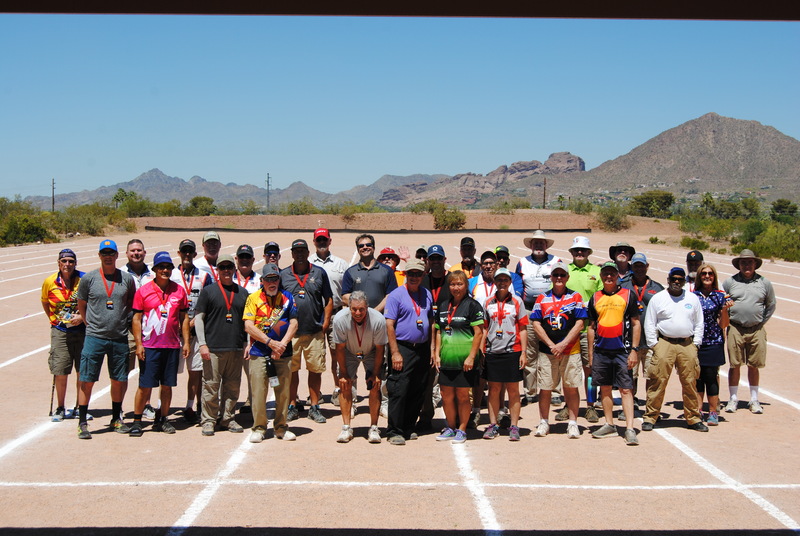 On October 1st, 2017, coaches gathered from all over Arizona to participate in the 2017 AZ Coaches Symposium that was hosted by the USA Archery Arizona State Association & AZ JOAD. 14 different clubs were represented at this one day event. There were many visual presentations, demonstrations and hands on activities throughout the day. This is the 2nd year that this continuing education & networking opportunity has been provided for the Arizona archery community. The State Association looks forward to arranging future engagements for athletes, coaches, judges, parents & volunteers in our community. Judging Rules (Shooting & Conduct) for Coaches & Archers by World Archery International Judge & USA Archery National Judge, Bob Pian. We want to thank our remarkable Arizona JOAD Coordinators, Jackie Levario & Krista Colonna, for taking the time to organize this incredible opportunity. Do you have any suggestions or ideas for presentations you'd like to see in 2018? Please contact us (JOAD.Coordinator@usaarizonajoad.org) and share.